The Scott County Genealogical Society (SCGS) Scholarship Award was established in late 2006 to promote an interest in the heritage of Scott County, Kentucky, its founders, and the significant events in its history. The Award competition is open to all graduating seniors of Scott County High School who have been accepted to a college or university in the Commonwealth of Kentucky. For 2010, the Scott County Genealogical Society partnered with the Scott County Historical Society to offer a $1,000 scholarship. In January 2011, the decision was made to discontinue the scholarship. Any additional scholarship opportunities sponsored by the Scott County Genealogical Society will be announced well in advance of the award date. No award presented due to lack of applications. 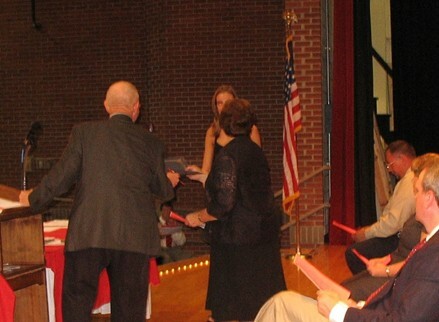 SCGS President Kitty Allen presented the 2007 Scholarship Award to Kelsey Bender.